What do holiday parties and get together all have in common? Food and drinks…as in high-calorie food and drinks! It’s no wonder most people gain weight during the holidays. Everywhere you turn, you’re surrounded by sweet temptations-holiday cookies, gingerbread houses, pumpkin pies, and more. Even healthy foods like sweet potatoes and green beans are magically transformed into high-calorie dishes that will make you want to do nothing but fall asleep. And don’t forget the drinks. Eggnog and alcoholic beverages are loaded with calories. Want to sidestep those holiday pounds? Yes, the holidays bring yummy foods and drinks, but friend gatherings and family traditions aren’t about food. Before a party, remind yourself what the holiday season is all about-friends, family, giving, and religious traditions. Then stay focused on the reason for the season rather than the plate full of hors d’oeuvres in front of you. Second, stay focused on your fat loss goals. Remind yourself of how far you’ve come and where you’re headed. Keep your goals in the forefront of your mind. A few bites of food aren’t worth hours on the treadmill. The holidays can be a time of emotional eating. For many people, the holidays bring stress, family conflict, or depression. Learn to address the root of your problems with solutions other than food or drink. Is your holiday social calendar filled with night after night of parties and events? It’s time to come up with a plan. If you want to keep your diet on track, you’ll need to pace yourself. Don’t come to a party hungry but eat a small low-calorie snack ahead of time. Otherwise, you’ll overeat. When it’s time for extreme measures, wear tight-fitting clothes around your waist so there’s not much room for expansion. Before and after a meal, chew gum so you won’t be tempted to overindulge in appetizers and desserts. During a party, don’t stand right next to the food table, but keep a safe distance. And before you get a plate of food, choose your plate wisely. Go with a small plate instead of a large dinner plate and don’t go back for seconds! Another important strategy is figuring out how to get in a workout between parties. 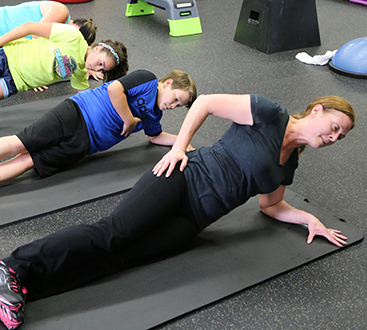 Leaving room in your busy holiday schedule for exercise will help you fight off the extra weight trying to attach itself to your midsection and rear. Be smart about what you choose to eat. Don’t deprive yourself of all the foods you love or you’ll likely spurge and ruin all your good intentions. Enjoy the goodness of the season, but in moderation. Trim calories where you can by limiting your trimmings-cheeses, gravy, sauces, creams, and nuts. The holidays offer many food choices not available the rest of the year. Because of this, you may want to overindulge before they’re gone. Instead of doing this, survey what foods are available and make your choices. Indulge in your favorites and leave the everyday dishes for another time. Only eat what you love, and don’t just eat something because it’s on the buffet. Also, be sure to limit the amount of alcoholic beverages you drink. As you likely know, they’re filled with calories, too. Try alternating an alcoholic drink with a non-alcoholic drink. Follow these simple tips, and you will avoid holiday weight gain this season and start the New Year off right! 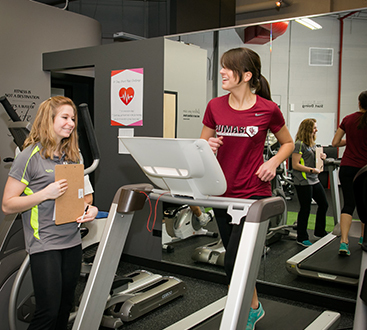 Exercise is a huge part of the equation when it comes to achieving weight loss. I am passionate about seeing my clients achieve results-without wasting time, energy and effort on mistakes. This is the time of year that you focus in on getting something special for all the important people in your life. You put time and thought into finding that perfect gift that will make them feel loved. With all that you do for others, it’s time to do something just for you. How about the gift of a totally reshaped body in 2017? You and I both know that you deserve it. It’s your time…embrace it. Let me be the one to make it happen. Call or email now and we’ll get started. 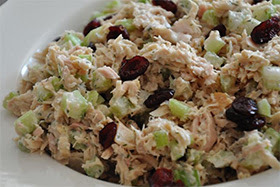 This tuna salad has a holiday twist with the addition of red cranberries and green celery. It is filled with muscle building protein and nutritious fiber. Fill up on this healthy dish before you attend your holiday party.